This is one of the most emotional images I have ever taken. My voice usually shakes when I talk about it. 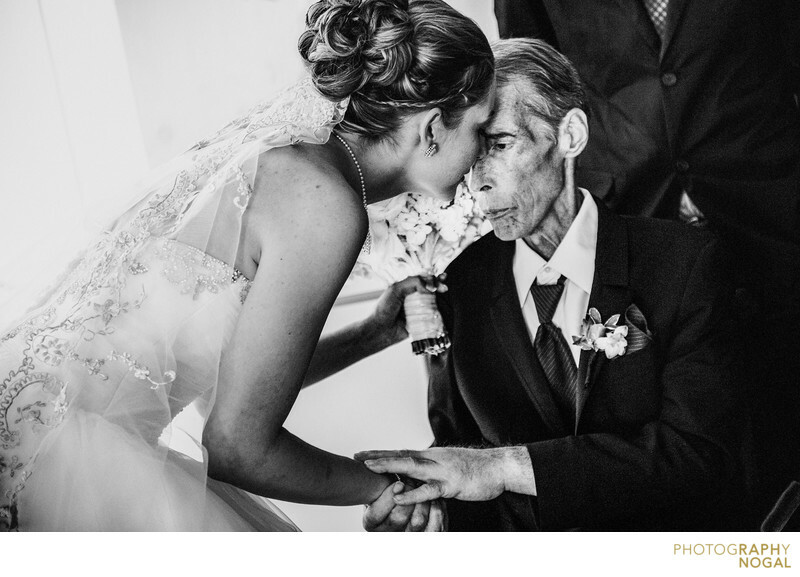 It shows a Bride and her ill father sharing a beautiful moment as he came up to congratulate her after the ceremony. Unfortunately, the Bride's Father passed away from cancer only a few days after this image was taken. How amazing is is that we, as wedding photographers, are able to capture these beautiful moments for our clients to relive and to pass on to future generations. The way their heads are touching and how he's grasping her hand is so genuine, touching and really makes you feel the love between them. This is a wedding photojournalism image, showing a real moment as it happened. The ability to capture candid images is so important on the wedding day. This image received a Silver Award at Wedding and Portrait Photographer's International (WPPI) image competition in the Wedding Photojournalism category.